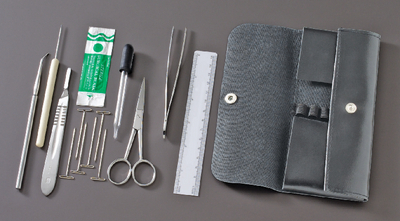 This set will meet the needs of any high school dissection lab. The high-quality instruments are stored in a choice of a molded plastic case or a high-quality leatherette case. Packaging: Please see Datasheet for contents. Caution: Product contains items with sharp edges or points. Handle with care to avoid injury.